Across the Globe Children's Foundation (ATGCF) projects funded under our Education initiative include those that construct facilities accessible to even small villages, and to identify and train teachers to reach all children with a good quality education. The overall aim is to provide every child, both boys and girls, with full primary schooling. 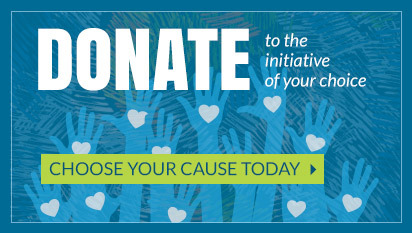 Below is just one example of a project we have solely funded. Much of Ethiopia is inaccessible by car, and many villages are several hours from a school. 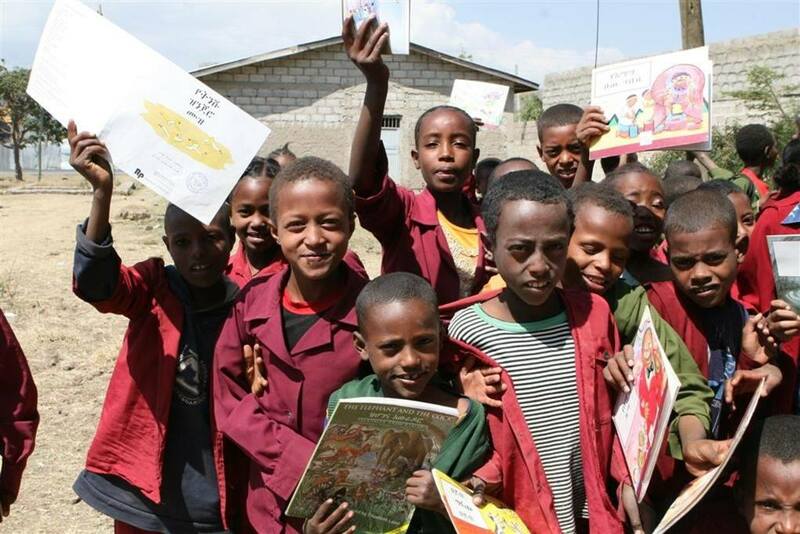 Many rural Ethiopian children have had little, if any, exposure to books. The Horse-Powered Library program takes a trained teacher from village to village via horse to read books to the children of these remote villages, teaching letters and numbers along the way. 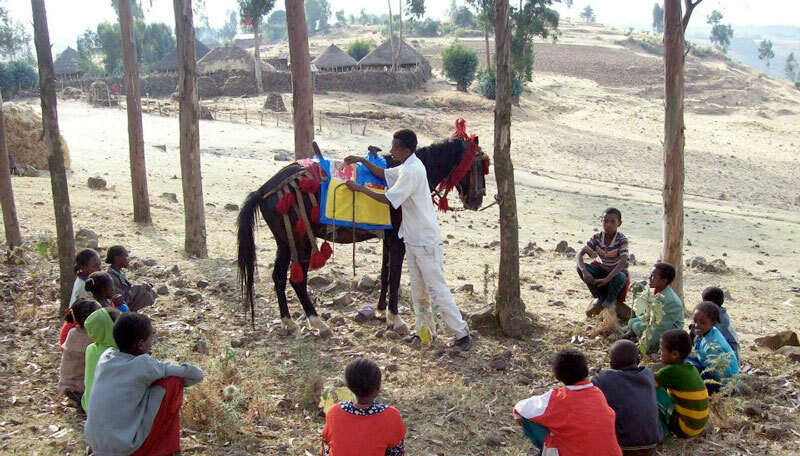 As shown above, the horse is tethered underneath a large tree and children gather around to have hands on experience with the books, or listen to the story being read by the facilitator. When the session is over, the books are collected and the Horse-Powered Library is off to the next site. 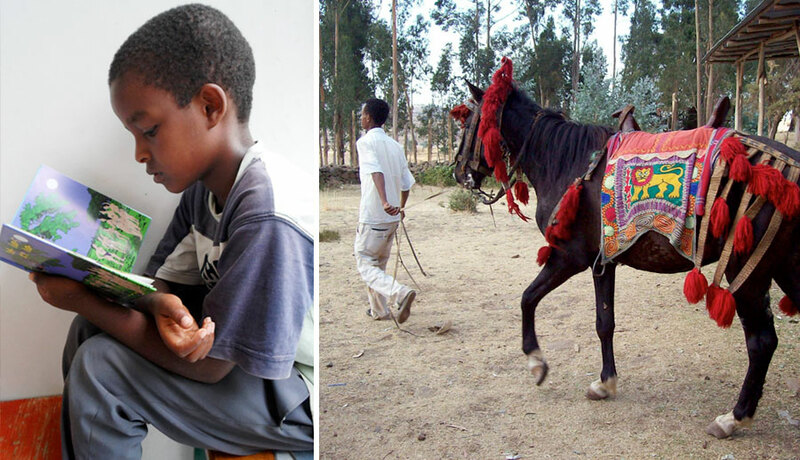 ATGCF's partnership with Ethiopia Reads provides support for the Horse-Powered Library, which reaches over 1,000 students in rural Ethiopian villages.